Thank you for visiting His and Hers Copper Luggage Tags - a Copper Art Designs production. 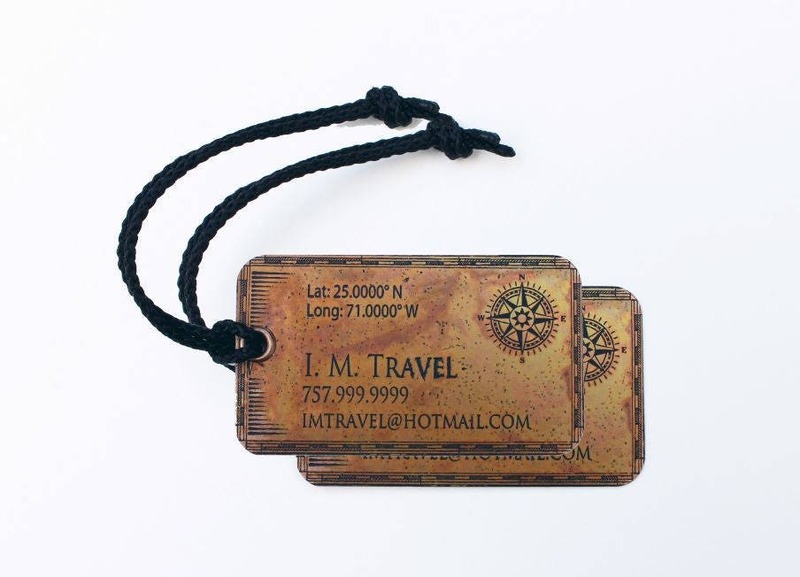 Wonderful copper etched tags with well-designed images to suite your travel needs. This offer is for two (2) " Compass Rose " Copper Luggage Tags. Whether you are buying these for you and your significant other, or for a special couple you know, these are the perfect long-lasting copper tags! 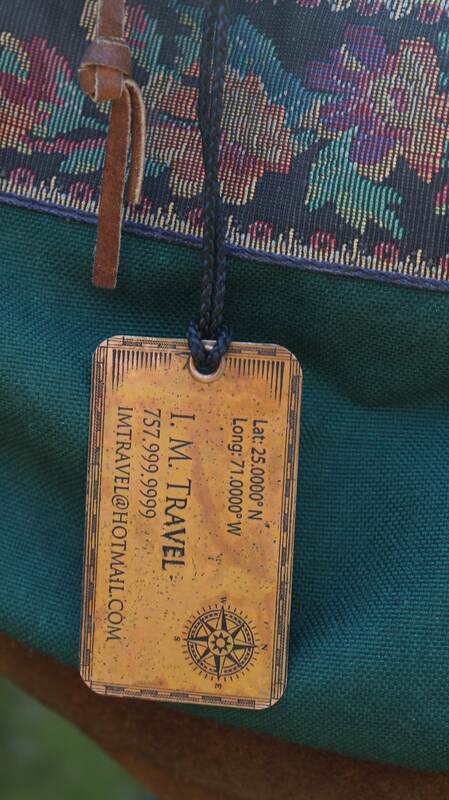 This copper luggage tag can be used to identify much more than your traveling suitcase. Use it on your backpack, purse, gym bag, equipment bag, etc. They can be ordered personalized with names, contact information, destination, or a personalized message. 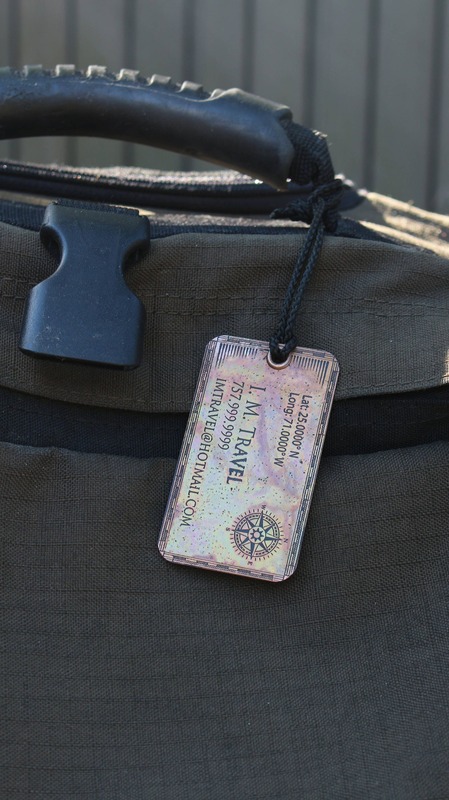 The copper luggage tag is made from a sheet of solid copper that measures approximately 2 3/4" long by 1 1/2" wide. It is etched with the design you selected and text information you provide. e.g. Name, Address, Longitude and Latitude, etc. It will have a rugged natural oxidized aged look which will enhance the piece. It is fixed with a strong and durable black Braided Nylon Cord ready to loop through your suitcase handle. Each copper luggage tag is handmade and due to the unpredictable nature of our process, each piece has its own characteristics that cannot be replicated. The copper tags will have a rustic patina appearance which was created. As the copper tag reacts to its environment it will continue to develop its own patina over time. That is the beauty of copper - the never ending shades of patina. 2. CUSTOM / PERSONALIZED: Please send me a message with the name/phone #/Email address/etc. exactly the way you'd like to have it displayed on your Copper Luggage Tags. 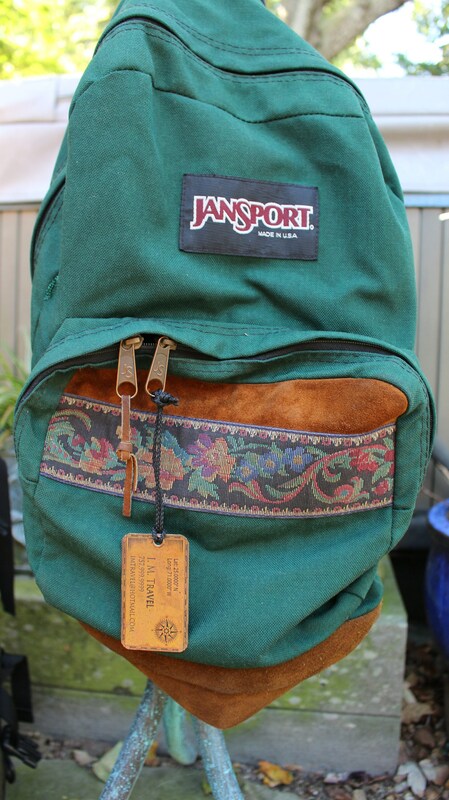 I will attempt to incorporate it into the design as best that I can. 3. PROOFING: A digital copper draft proof of your “ Copper Luggage Tags ” will be emailed to you for review and approval within two (2) days of submitting your order. 4. APPROVAL: After your approval of the digital copper draft proof of the “ Copper Luggage Tags ”, your design will be prepped for etching. 5. PRODUCTION: This item is handmade to order. The “ Copper Luggage Tags ” and Patinas goes through a series of processes and it takes time. 6. 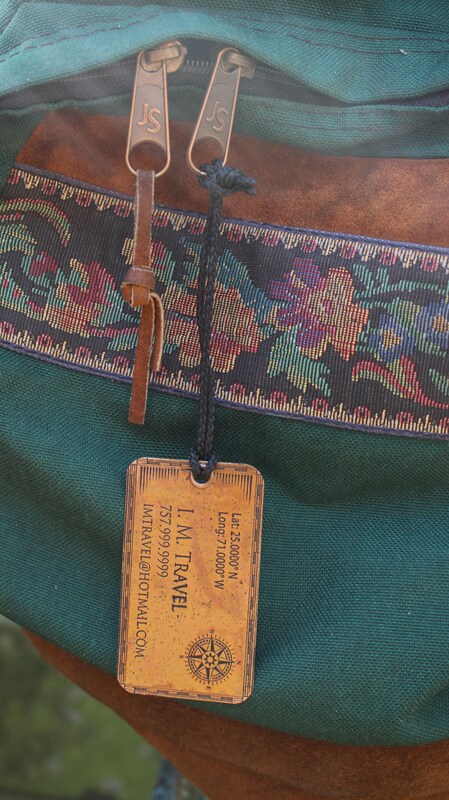 ADDITIONAL INFORMATION: The Copper Luggage Tags will arrive in an eco-friendly cloth bag, ready for gift giving!